SOLD! 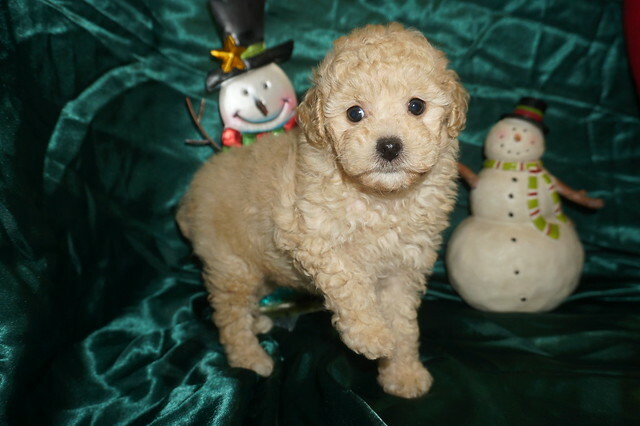 BeBe Gorgeous Apricot Female CKC Poodle Comes With A Lifetime Of Puppy Kisses! What a gorgeous female poodle with her apricot cream color. BeBe has been prayed over for finding her forever home. She is one of two females in this litter of three. BeBe says, just look at my adorable face and adorable docked tail and my gorgeous curls that will surly entice you to run your fingers through them. Her adult weight estimated about 8-9 lbs. BeBe is The perfect puppy so call today ! SOLD! Bruno Gorgeous Miniature Male CKC Poodle Sweet & Loving! Hey there you have to stop and meet this little man he’s Bruno, isn’t he the most gorgeous red minature poodle you’ve ever seen? He has bold beautiful eyes, that perfect teddy bear face and a nice compact body that everyone is looking for! He may be in a tiny package, but he definitely has an amazing personality; he is so smart, loving and playful! Bruno has a super soft coat of eye catching red color and not many poodles have white markings so he is sure to be the talk of the town wherever he goes! Come on pick up the phone I just know Bruno is going to be the perfect little companion, so don’t miss out on this precious little boy. Waiting on my new name and my new home is Charlotte, NC. 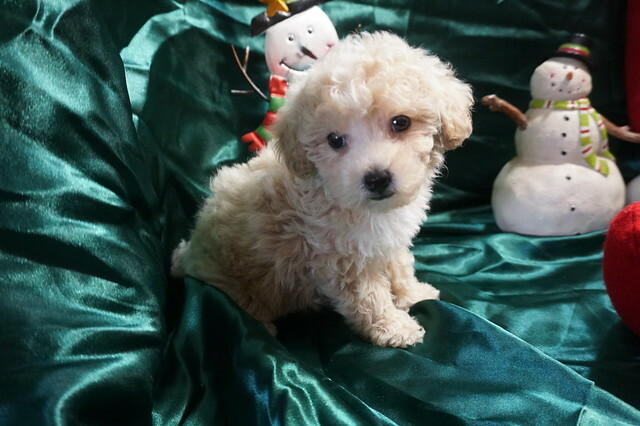 Bon Bon Tiny Female CKC Poodle Sweet & Loving! If you’re looking for the perfect puppy to complete your home, she’s right here! Bon Bon is the most adorable, puppy you will ever set your eyes on! You can always expect puppy kisses when shes in your arms. She has the most wonderful coat that you will want to pet all day! Her favorite thing is the world is when you cuddle on the couch shp will snuggle with you and make you feel so special She will bring your family closer together with her infectious energy and warm heart. Make Bon Bon your special baby girl and watch how your family is happier than you ever seen them before. 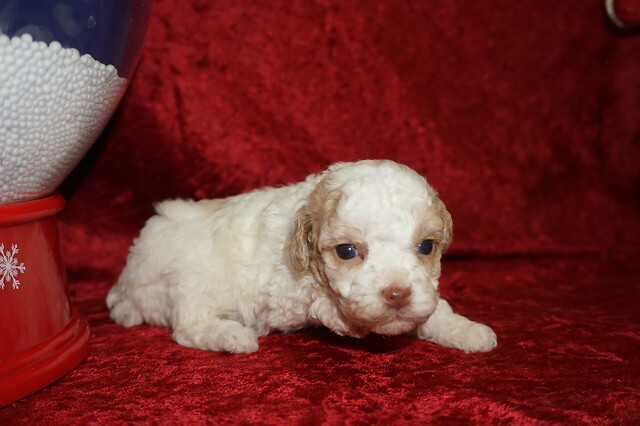 What a gorgeous female poodle with her apricot color and some red starting to show. BonBon has been prayed over for finding her forever home. Bon Bon is one of two females in this litter of three. BonBon says, just look at my adorable face and adorable docked tail and my gorgeous curls that will surly entice you to run your fingers through them. Her adult weight estimated about 5-6 lbs as she is the tiny one in this litter. Bon Bon is The perfect puppy so call today ! 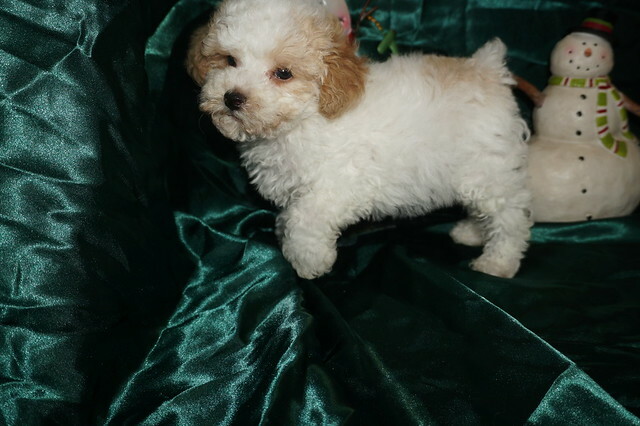 SOLD: Snowball Male CKC Cream poodle The Perfect Christmas Gift! 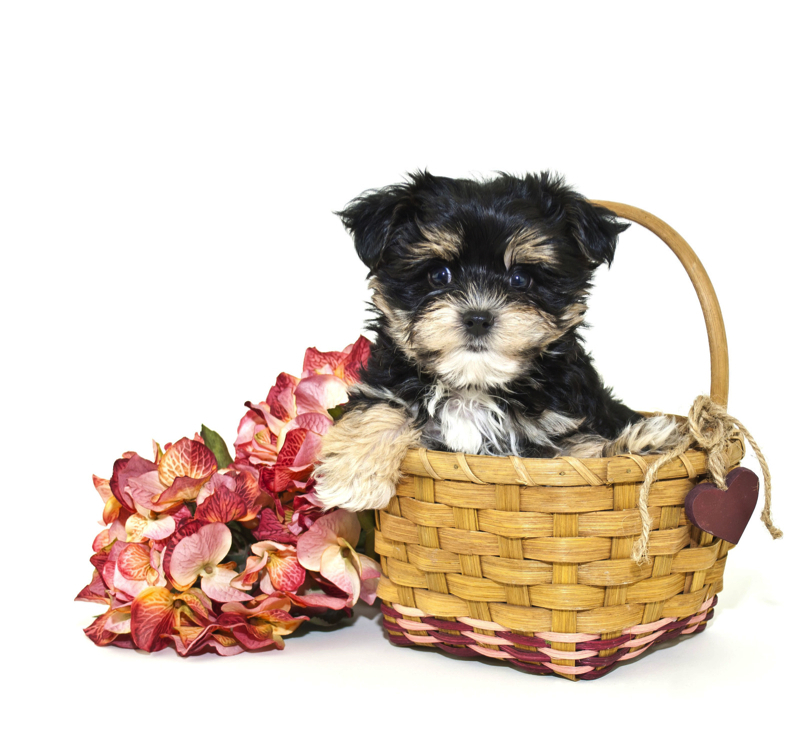 If you’re looking for the perfect puppy to complete your home, he’s right here! Snowball is the most adorable, energetic puppy you will ever set your eyes on! You can always expect an adventurous and exciting day with him, because he’s always up for a little bit of mischief! He has the most wonderful coat that you will want to pet all day! He loves to cuddle on the couch and will snuggle you in bed on those cold, winter nights! He will bring your family closer together with his infectious energy and warm heart. Make Snowball that perfect Christmas gift and watch how your family is happier than you ever seen them before. What a gorgeous male poodle with his cream color color.Snowball has been prayed over for finding his forever home. 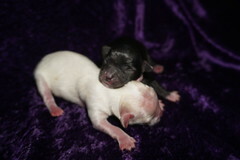 Snowball is one of three males from this litter of four. Snowball says, just look at my adorable face and adorable docked tail and my gorgeous curls that will surly entice you to run your fingers through them.. His adult weight estimated about 8-10lbs. Snowball is The perfect Christams Gift so call today! Meet Lewie he has a gorgeous black rich curly coat of hair but that is nothing compared to sweet personality! If you are looking for a loving companion then look no further you just found him. He said is ready to snuggle and be your lap baby. But at the same time if you walk to go on walks, a trip to the beach he is all in for the adventure as long as it is with you! So wait no longer as I just know he truly is in perfect choice for your family. You better hurry, as a little guy is so sweet he will be gone soon! My new name is Teddy and my new home is Orange Park, FL. What a gorgeous male poodle with his rich black color. Lewie has been prayed over for finding his forever home. Lewie is one of three males from this litter of four. Lewie says, just look at my adorable face and adorable docked tail and my gorgeous curls that will surly entice you to run your fingers through them.. His adult weight estimated about 10lbs. Lewie is The perfect choice so call today! Meet Lancelot he is the most gorgeous male red CKC Poodle he is sure to be the talk of your town! Lancelot not only has looks that will turn heads but also has the sweetest personality that will attract people to him like a magnet! . This baby is very sweet and loving and he enjoys snuggling and giving lots of little puppy kisses. Lancelot says he promises to learn with all his pre-training before joining your family. He truly is in perfect choice for your family. You better hurry, as a little guy is so sweet he will be gone soon! What a gorgeous male poodle with his red color. Lancelot has been prayed over for finding his forever home. Lancelot is one of twohree males from this litter of four. Lancelot is a gorgeous red color, just look at his adorable face and adorable docked tail and gorgeous curls that will entice you to run your fingers through them.. His adult weight estimated about 10-12 lbs. Lancelot is The perfect choice so call today! Meet sweet Ladybug a gorgeous black female CKC Poodle and has to be the most adorable little Poodle puppy with sweetest personality. She is so very sweet and loving and she enjoys snuggling and giving lots of little puppy kisses. Ladybug comes to you as a little bundle of love ready to be your lap baby and ready for snuggle time! She is in perfect health and is just a living baby doll. You better hurry, as a little gal is so sweet she will be gone soon! What a living doll. Lacey has been prayed over for finding her forever home . Ladybug is the only femalein this litter offour. Ladybug is a gorgeous black color, just look at her adorable face and adorable docked tail. Her adult weight estimated about 8 lbs. Ladbugy is The perfect choice so call today!